Presale Magic Buttons are no longer available. You can still get them at the faire entrances for $20. Presale Magic Buttons were available for only $15. 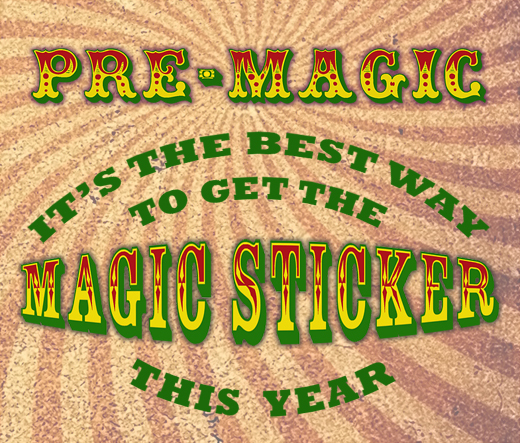 Save money on the Magic Button, save time with a faster entrance when you arrive at the separate presale lines at the entrances to the faire, and show your early support! You can purchase a Magic Button in advance, and then receive them when you get to the faire. There will be limited supplies of Buttons, so get there early. After the Buttons are gone, there will be Magic Stickers, with all of the same benefits. Get them for your friends. They make great gifts. Everyone loves pre-Magic Buttons! If you really want to show your support for the faire in style, get the Exceptionally Weird VIP Experience. Treat yourself to a world of comfort with access to a special lounge tucked away from the crowds. There will be couches, tables, chairs, a private bathroom, and a bar. 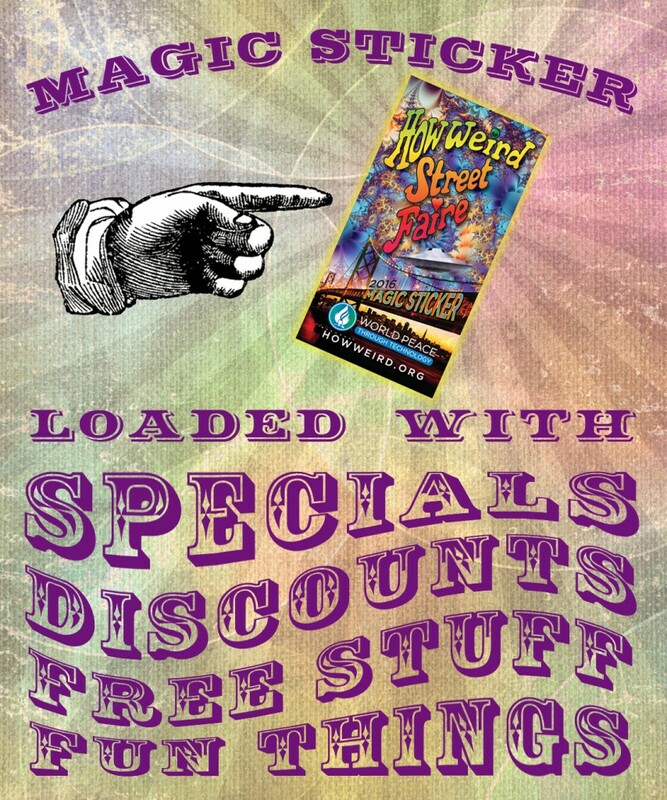 You will get two free drinks and some goodies! And it comes with the world famous Magic Button.